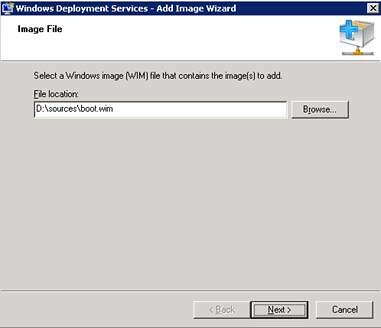 I’ve prepared a complete guide to configure a WDS Server on Windows Server 2008 or Windows Server 2003 to deploy complete operating systems images, this is the first part. In this post I’ll be setting the WDS requirements, installation, first configurations and images needed. Deploying operating systems it’s always a hard thing to do. Annoying, uncomfortable, but necessary for every environment. Why? Because every desktop computer on every organization has their own life cycle (even servers, a longer one, but cycle at last). Even if your organization doesn’t have many desktops and even if those desktops don’t seem to need an image refresh in several months; the dynamics of today’s technology makes your base operating systems to change: Updates available, service packs, a new version of your organization’s software, newer operating systems, etc. And don’t forget the consequences of any user’s intervention: overloading the hard drive, personal software installation, etc; transforming always into a need to a fresh new installation. No need to keep enumerating things that normally happens; you probably know all of them. The bottom line is that a good and automated system to deploy your full operating systems images will significantly (and I do mean significantly) improve your daily tasks: Making an awkward job of following the installations steps for maybe 2 or 3 hours and transforming it to 30mins of a complete unattended provisioning. 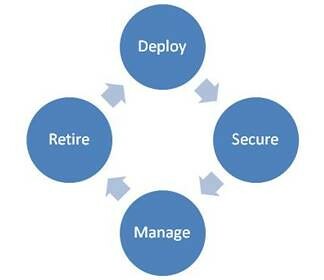 Here’s where Windows Deployment Services comes to play. First of all I want to thank a friend of mine, Leonardo, who made a great “How To”, in Spanish, for WDS with Windows Server 2003 SP1, here’s the link to see it. Also you can find the Microsoft document “Deploying and Managing the Windows Deployment Services Update on Windows Server 2003”. 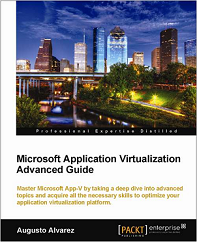 – Windows Server 2008 or Windows Server 2003 SP2 * for the WDS server . – Active Directory and DNS up and working. – DHCP server available and authorized by Active Directory on your network. Linux DHCP servers do not need to be authorized by AD. – On the client side: NICs PXE compliant. Almost all of Network Adapter that are available for several years now are in fact PXE compliant, so I think you don’t have to worry about that. 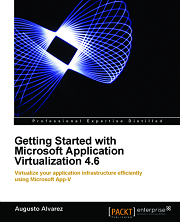 – Windows Automated Installation Kit (WAIK). We will use of this kit the Windows System Image Manager to create our Unattended Files for installation. Here’s the link to download the DVD image for installation. – Processor: No special specs on processor characteristics, but of course to WDS work properly you will need a Pentium III 800 MHz or higher. – HD: Recommended 30 GB of free space on the disk that will be used for images storing. It always depends on the images amount of images you will use to deploy. For example, I have over 5 full Vista images (meaning operating system, Office 2007 and several other applications) and less than 10 GB of disk space used. 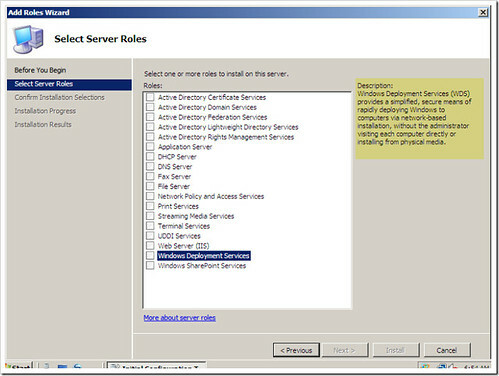 To install it on Windows Server 2008 it is practically the same procedure, just add the Windows Deployment Services role from the “Add Role Wizard“. After that, all the configurations tasks are the same, since it is the same snap-in; and you’ll get bonus options using WDS on W2K8, like multicasting transmissions. I’ll comment this on the next posts. 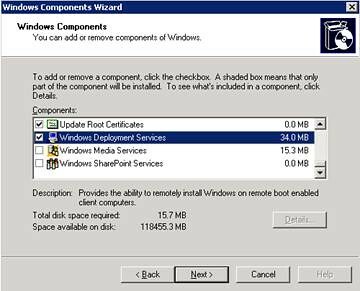 * To install Windows Deployment Services on Windows Server 2003 SP1 first you must install the “Remote Installation Service” (RIS) component, you will not need to configure anything special with this component. After that, you have to use WAIK media: in the options you will find the Windows Deployment Services for installation. 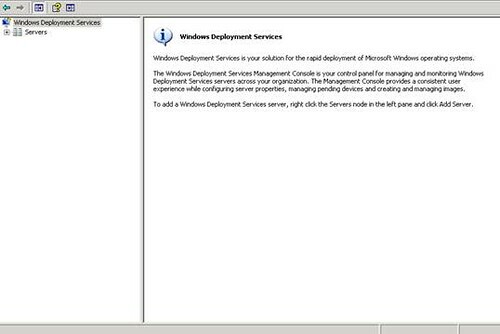 Once installed, access the “Windows Deployment Services” snap-in. On the console, to get started right-click on the listed server and select “Configure Server”. Here are the considerations you need to have to configure your server properly. – After you selected the folder where you are going to store all the images for WDS, you need to check on the DHCP settings. The wizard will explain you about this option. Since in my example I have a Microsoft-DHCP Server working on a different server from the WDS, these two options will remain unchecked. If you have both, WDS and DHCP, on the same server you should check both options. – Response Configurations: This is where you set to which clients you will respond when you receive a PXE request. 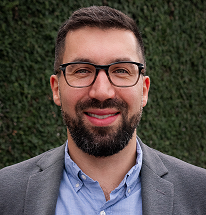 The difference between known clients and unknown is set on if the Computer Object exists on Active Directory. If you want to create the computer objects before running WDS on that computer, you should have the GUID of that computer and include that information on the computer object. 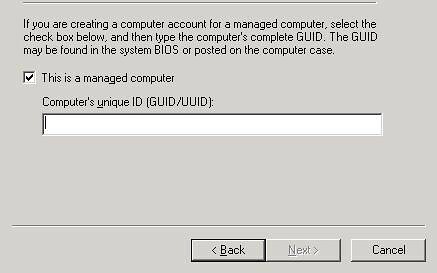 When you create the object on Active Directory, using “Active Directory Users and Computers” you need to set that “This is a managed computer” and insert the GUID. Selecting this option can be really annoying if you want to improve your deployment, because you have to add the object first on Active Directory every time that you want to deploy an image, but it’s of course the more secure option to apply. Or you can use the option “For unknown clients, notify administrator and respond after approval”. With this option, all the unknown clients that request to boot from PXE will appear to you in“Pending Devices” on your console, from there you can approve or decline them. Or simply use the option “Respond to all (unknown and known) computer clients” and when you don’t need WDS, you can just stop the service to avoid any rogue clients. On the final step of the wizard, select to start adding images now are we are ready to go! 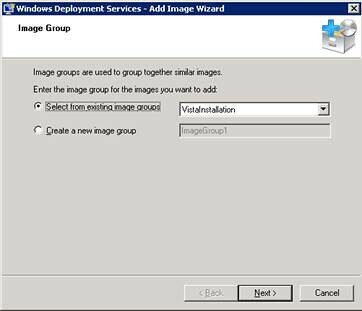 Before creating a complete image to be deployed with WDS, we need to add first a Windows Pre-Installation image (WindowsPE). With this image we provide the server with a pre installation environment needed for all installations. WindowsPE comes, as all the new operating systems, in a WIM format, included in the Vista or Windows 2008 installation media. 1 – To add the image, expand the server options on the console and on the “Boot Images” select “Add Boot Image”. Remember that this WindowsPE that we are adding will be the same for all the operating systems that we are going to use with WDS. 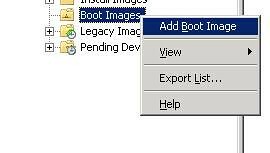 2 – Select “Browse” and check on the Vista or Windows 2008 installation media for the folder “Sources” and the file “boot.wim”. This is our WindowsPE. Note: You can also use, of course, the x64 WindowsPE. Will be discussing it later. 4 – Review the summary and click on “Next”. And now the Windows Pre-Installation Environment is available to boot from your network. 1 – The unattended files that you may use on full images deployment also apply to clean installations. 2 – WDS use a smart storage method, which does not duplicate any installation files. Meaning that if you save a clean installation of Vista and you add later a full Vista image with several applications included, all the new information that is stored are the differential (delta) files between those two. 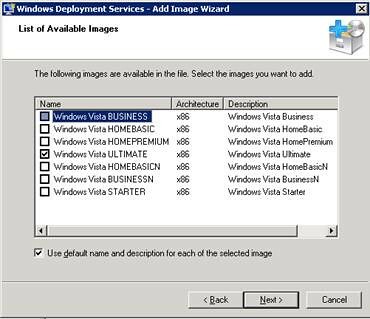 3 – Rearm activations: If you use the command line “slmgr –rearm” on the Vista installations to reset back your grace period back to 30 days, you should know that Vista only allows 3 times to run this command. But when you deploy a full image, the times that you can run this command line reduces according to the time when the image was created. But using the clean WIM file extracted from the Vista media, does not have that drawback when you run the rearm command. 4 – Having a clean installation always available that you can deploy any time will help you when you need to make changes to the default installation image or when you need to start a new one from the scratch. 2 – Select the name that you are going to use for this group. For Example: VistaInstallation. 3 – Right click on “Install Images” again and select “Add Install Image”. When the wizard starts select to use the group you’ve just created and click “Next”. 6 – On the summary window click “Next” and the image will start to upload to your server. At this point we have all the necessary components to deploy a clean image for Vista from the network; but the installation remains attended. So, the disk configuration and the Vista options (language, product key, computer name, etc) still need to be manually inserted. We’ll be reviewing in the next posts a complete unattended installation for Windows Vista and also making a personalize installation of the operating system. With Dhcp on a different server from the wds, what settings specifically need to be set in the dhcp server? 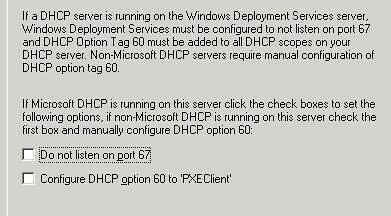 You don’t have to configure anything special on the DHCP server after you properly configure your WDS Server, just remember to leave UNCHECKED the options on the WDS configuration: “Do not listen on port 67” and “Configure DHCP option 60 to ‘PXEClient'”. The DHCP role is needed on the same network with WDS, but there are no special configurations to perform on it; it doesn’t have to be a Windows DHCP either, I’ve worked together with WDS and Linux DHCP servers. Does WDS work with DHCP set-up on Cisco Routers? I haven’t test it, but it should work perfectly since WDS use some of DHCP options that are defined with the common standard. 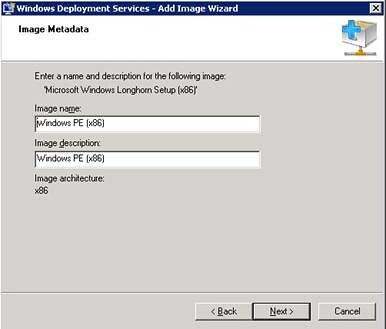 I know that running “slmgr -rearm” can only be run 3 times, however what do you mean by deploying a full image reduces the amount of time according to the time the image was created? Do you mean the time a custom image was captured? And what about the last sentence? Does it mean if I use the install.wim on the Windows Vista Retail Media (or a TechNet Plus Retail ISO) that I can rearm an unlimited amount of times? Any clarification would greatly be appreciated. Consider that a customized image it is available for 120 days (3 “slmgr -rearm” executions + the first 30 days), so if you have a customized image within your WDS for about 2 months, if you deploy that image right now, you will only have 2 “slmgr -rearm” available to execute. 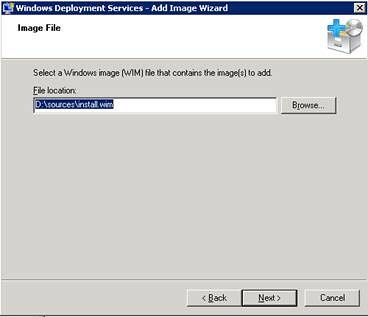 And for your second question, if you use the raw install.wim from an ISO file or media to upload it to WDS, you will have the chance to run the slmgr -rearm command 3 times when you deploy that image, and it won’t matter if you have the same uploaded image for over 4 o 5 months, you will still have the 3 rearms executions. That is basically the difference between a raw and customized image. would like to know if its possible to deploy windows 2008 R2 from WDS installed on windows 2003 server ? when i tried its giving error like operation failed with 0x80070002 . were as i could install 2008 sp2 from the same server any issues. I installed the Windows 7 OS, downloaded the WindowsAIK, created a share on my server remotely and made a UDF USB boot drive on onw PC. When I try to create a new task sequence I get an error about denied access to the share on the server. If I have gone astray; where? Hi, I am trying to install the service on a server 2k3 standard machine that is running the DHCP as well as WDS. I get the service to install, however when i get to the step that you add a boot image, (or any image) it is showing access denied. I have logged in as the Domain Admin, and several other accounts in the administrators group. I have tried adding access permissions for each account that I have used to the C:\remoteinstall folder, and still no luck. Do you have any suggestions? In the Event Viewer you can find anything related to WDS? I’ve seen similar errors to that, and it was related with corrupted installation of WDS. I would recommend to: Uninstall WDS role, reboot the server, remove the RemoteInstall folder created earlier and re-run the installation process again. 2) My PXE server for Linux where I’ll provide the remaining info. This PXE (tftp) server IS NOT a DHCP server, however, and cannot be. I’m pretty sure that using that configuration is not “fully supported” by Microsoft. Did you try using the Option 60 in DHCP pointing the PXE to your Linux? I have configured a WDS which has all Win 7 images in all versions…..
the problem I am facing here is whenever I try installing OS to a client, the client automatically gets a name and it is also getting joined to the domain…How can I stop it ???? I have install MDT2010 in a Win7 x32 OS, can I install WDS in Win7 as well? No, WDS is a Windows Server role. have you guys tried Serva?